A Previews exclusive! Daryl, the fan-favorite character from AMC's TV show The Walking Dead, is yours to collect with The Walking Dead Bloody Biker Daryl Dixon Previews Exclusive Pop Vinyl Figure! This awesome, bloodied edition stands 3 3/4-inches tall. 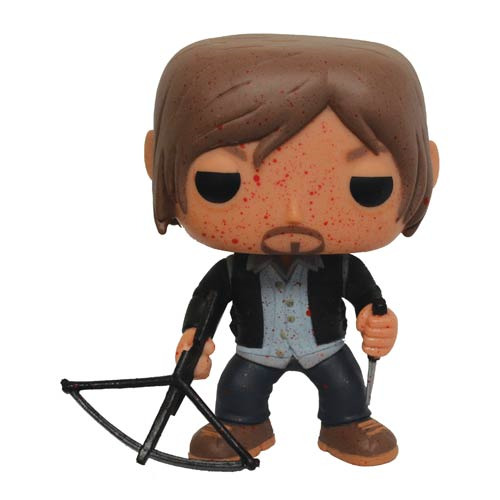 The Walking Dead Bloody Biker Daryl Dixon Previews Exclusive Pop Vinyl Figure features the urban, stylized design that has made these vinyl figures so popular. Ages 17 and up.